Wah, great scan, thank you <3! Thanks so much for scanning this spread! Great, I love the color preservation. 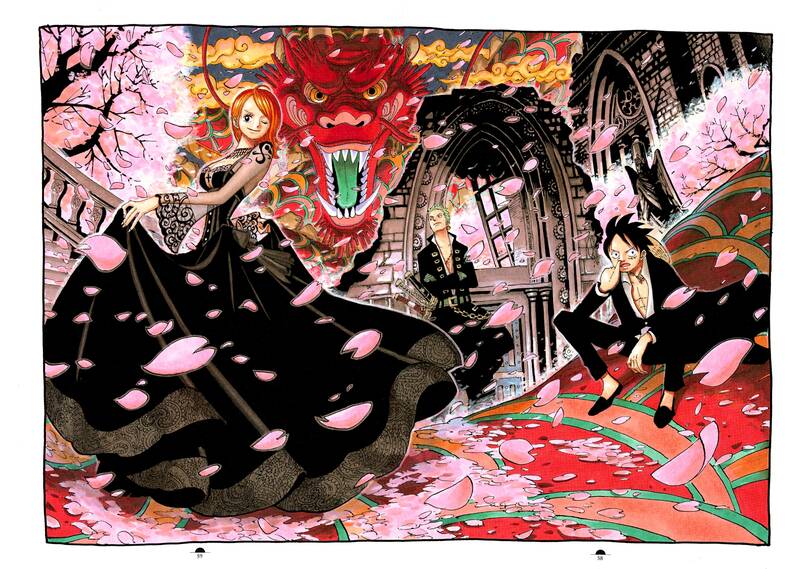 Nami looks so elegant. wow, Nami-san is really beautiful! Zaaa Luffy what are you doing... Ty for scan, it looks great! nami looks great in that black dress!